Since the 1950s, the artist Öyvind Fahlström pursued an interest in the moving image. The use of illustration and collage in his paintings and graphic work show a clear affinity to cinema and the use of film as a means of artistic expression. He was an active member of Arbetsgruppen För Film (aka Filmform); an artist-led organisation dedicated to the production and promotion of avant-garde film, and made experimental tv documentaries, home movies and the radical feature film Du Gamla Du Fria (which takes its name from the Swedish national anthem). One of the earliest films ever made by an artist was Symphonie Diagonale by the Swedish painter Viking Eggeling in the early 1920s, but independent film did not become established in Sweden until the post-war period, at which time personal psychodramas and city symphonies were made by filmmakers such as Gösta Werner, Peter Weiss and Nils Jönsson. 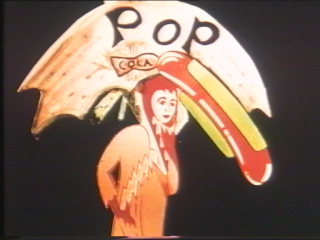 Avant-garde film flourished as a potent artform in the 1960s counterculture. The artists Åke Karlung and Erling Johansson made extraordinary films as part of their wider creative practice, using animation to assemble mixtures of painting, sculpture and live action. Other filmmakers, including Hans Esselius and Jan Håfström used cinema to make potent social commentary, attacking the modern political and industrial establishment. 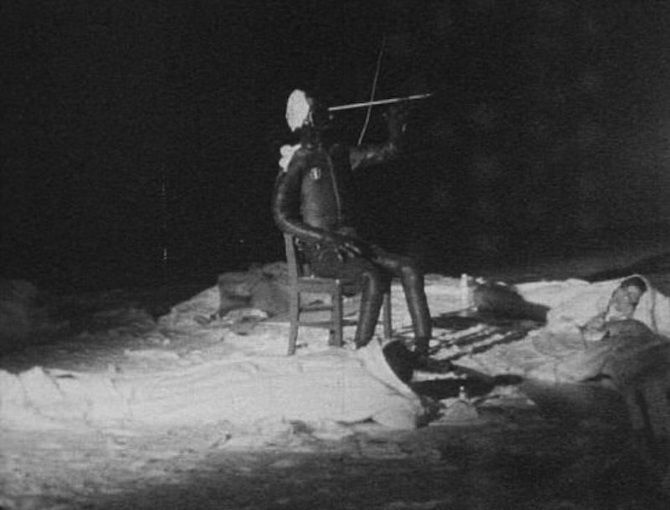 Fahlström himself made the satirical, psychedelic found-footage film U-barn for the Swedish Film Institute. In the 70s and 80s, Åsa Sjöström, Olle Hedman Anne-Sofi Sidén and others continued to experiment with the medium as a punk ethos brought the work back-to-basics. The artist Gunvor Nelson lived and worked in San Francisco for many years, though she never lost her close connection to the culture and character of her birthplace. Gunvor will be at BALTIC to present two programmes of her work, featuring both her unique collage techniques and her deeply personal films about family relationships. 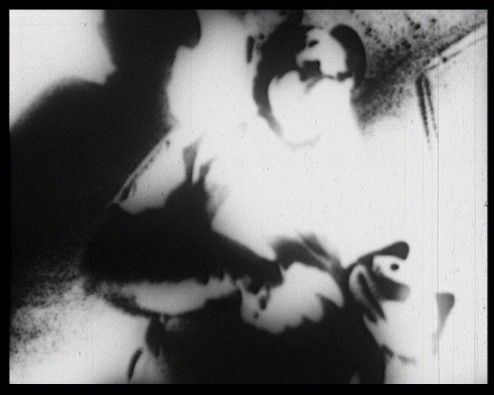 In this brief history of the Swedish avant-garde, examples of Fahlström’s own work will be shown alongside rare screenings of films by those who still remain widely unknown outside their homeland. Introductory lecture and slide show by Billy Klüver, founder of E.A.T. (Experiments in Art & Technology). Klüver will discuss the work of Öyvind Fahlström, with particular reference to the multi-media performance Kisses Sweeter Than Wine. Fahlström’s radical feature film Du gamla du fria (Provocation) is a political work which portrays a group of young activists as they perform happenings outside factories and banks in protest against a corrupt system. After finding their demonstrations are ultimately ineffective, they discover that they too are bourgeois individualists at heart. Diagonalsymfonin, made in Berlin by Swedish painter Viking Eggeling is one of the earliest examples of ‘visual music’ or moving painting. Gösta Werner’s Midvinterblot, a startling and realistic portrayal of Bronze Age human sacrifice, shocked audiences in the 1940s. 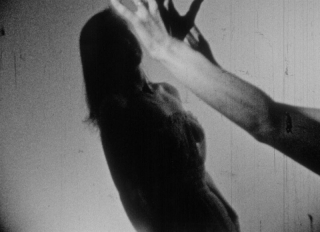 In the post-war period, the film avant-garde was dominated by psychodramas such as De Vita Händerna (a homemade 8mm version of the Tristan and Isolde legend) and the early films of author Peter Weiss (hallucinatory compositions of human bodies). X, by Moderna Museet director Pontus Hultén, is a jazzy mixture of animation and found-footage. The final four films are ‘city symphonies’; portraits of the architecture and inhabitants of Stockholm, one of Europe’s great cities. The down-trodden men of the old town are the subjects of the cinema-verite Ansikten I Skugga (Faces in the Shadow). Gunvor Nelson’s collage work extends the artistic possibilities of animation and layered imagery, combining disparate elements into a temporal, cinematic painting. 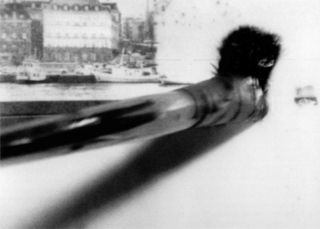 In this sequence of films from the 1980s, journeys through the Swedish landscape are used to depict a sense of displacement from her native country. By showing animation as a process, Nelson creates a unique and freewheeling chain of evocative transformations. In her personal films, Gunvor Nelson explores relationships within the family. My Name is Oona, a study of her young daughter, was fabricated from just few seconds of looped and superimposed footage (a technique which echoes the mesmeric tape soundtrack by composer Steve Reich). Time Being is a moving, silent portrayal of her ageing mother in hospital, often shot in extreme close-up. Red Shift concerns the relationships between the women of three different generations (Gunvor, her mother and her daughter), made in such a sensitive manner that it appears almost dreamlike. An outstanding programme of animations by three filmmakers. 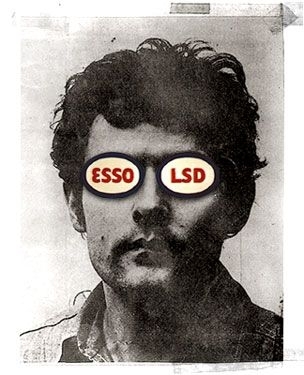 Åke Karlung was a mixed media artist working on the fringes of the establishment, and made several remarkable works that densely combine collage and live action. The films of painter Erling Johansson are unique fusions of pop art, Swedish folklore and Sami culture. Jan Håfström made two stately and timeless works which seem to exist outside of the modern world, being composed almost exclusively of still photographs, illustrations and engravings. 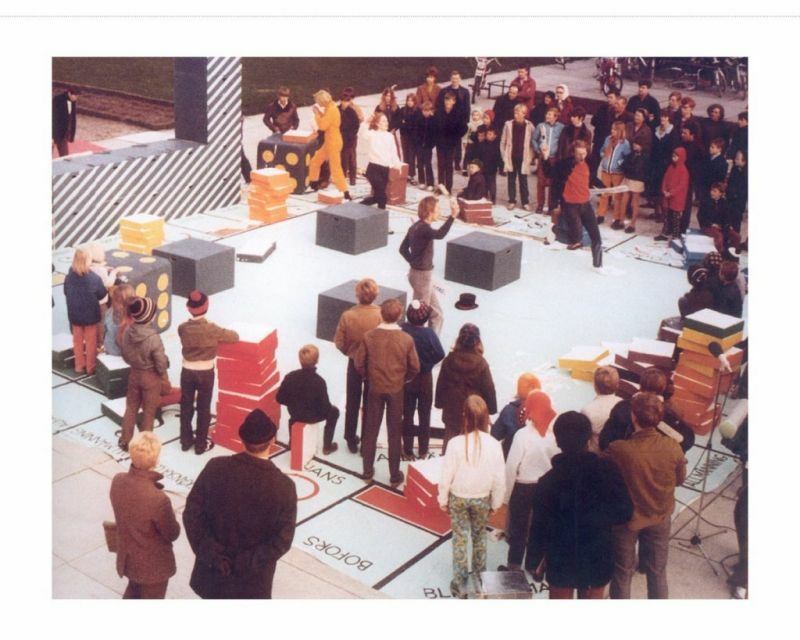 In the 1960s, Sweden had an active counterculture of artistic events and protest happenings, of which film was an important part. En Svensk Tiger is a critical montage of newspaper headlines and the national flag, while Nixon Visions animates Kjartan Slettemark’s satirical advertising campaign depicting the US President. Öyvind Fahlström’s U-barn is an absurd and surreal montage of found-footage, concerning psychedelic drug use and children’s education. 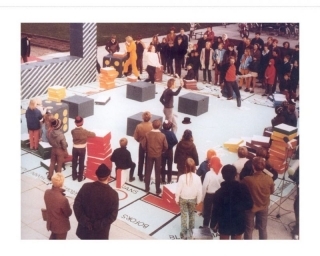 Capitalism is attacked in the punk Coca Strip, while Mass or Monument, made in mid-70s London, is a multi-layered study of the impersonal modern city. Peter Weiss’ Enligt Lag (According to Law) frankly documents life inside a juvenile reform school in the 1950s.